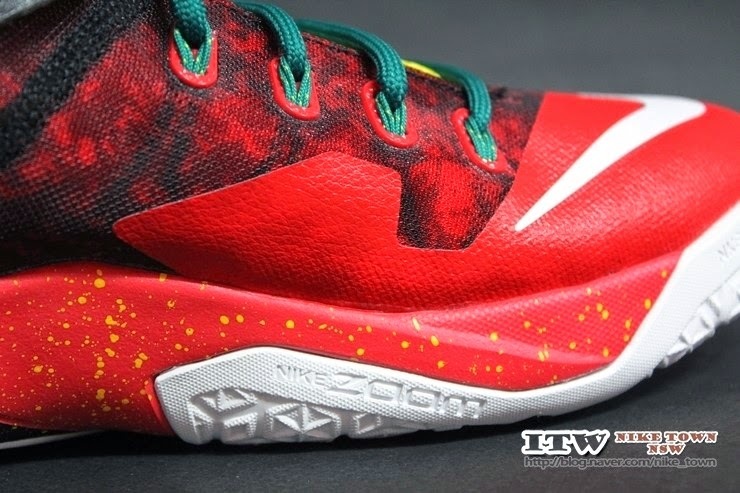 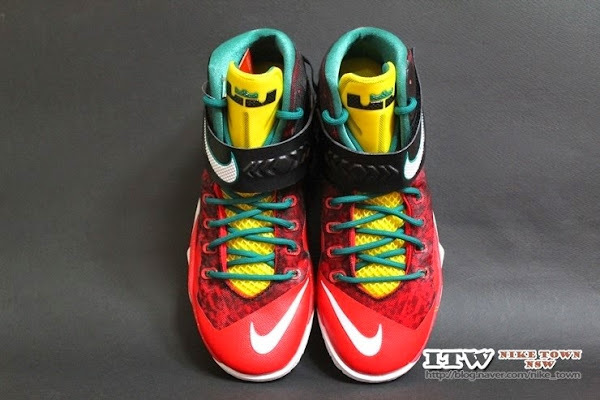 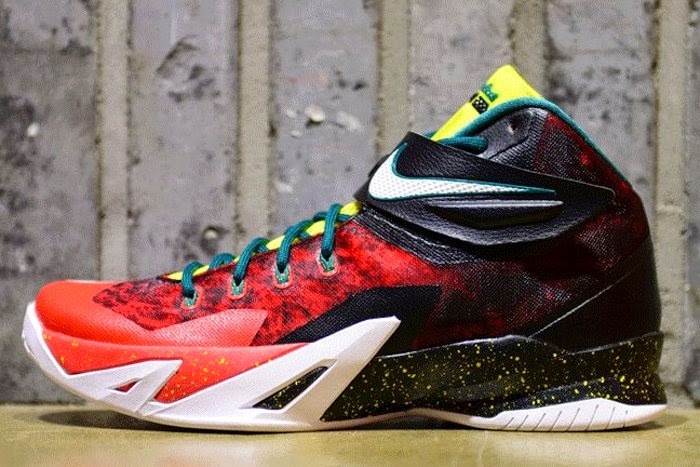 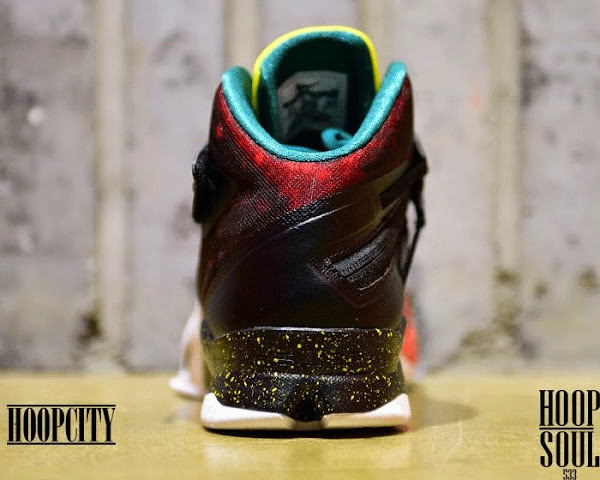 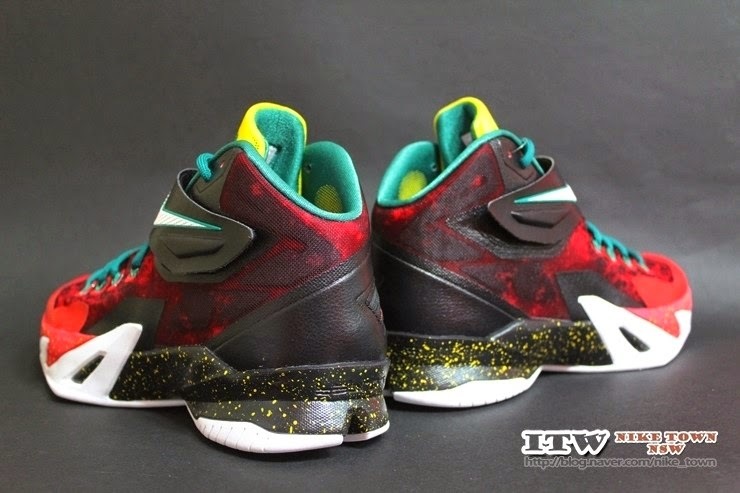 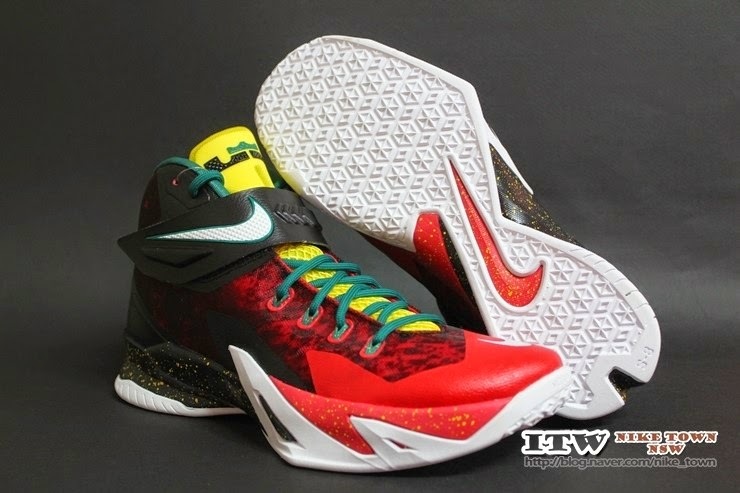 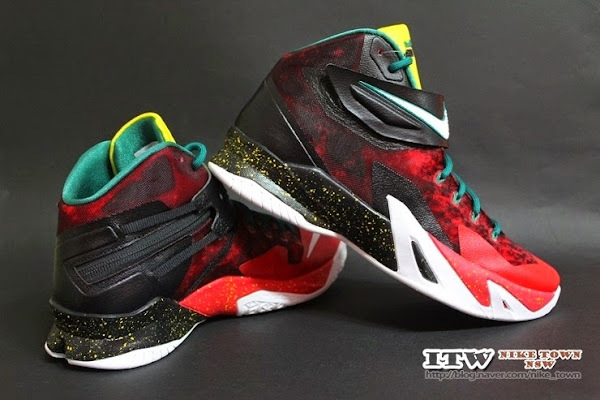 Apparently these are the Christmas Soldier 8’s… that’s what other blogs say about this new style. 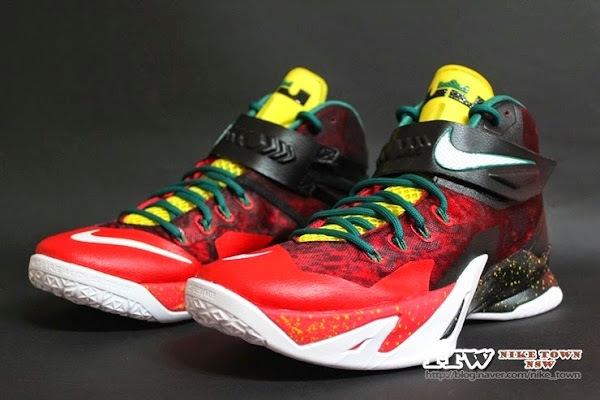 I’m not so sure what’s so “Christmassy” about them… hence Nike never released any Christmas Soldiers to public. 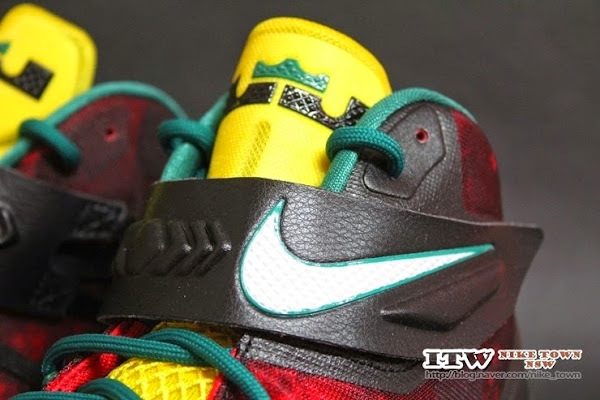 Plus the release date doesn’t fit here cause the official Nike info says they are slated for December 1st in some regions. 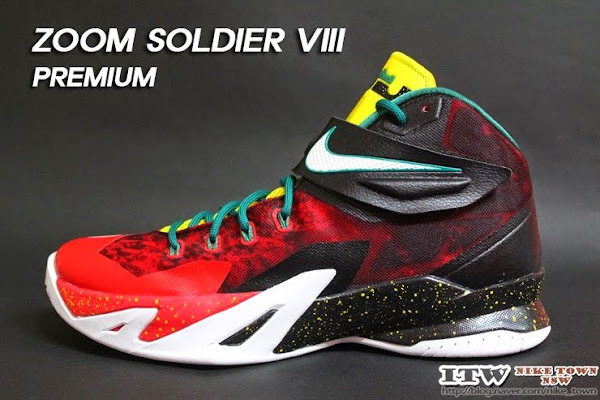 Anyway, the new Soldier 8 style has indeed arrived. 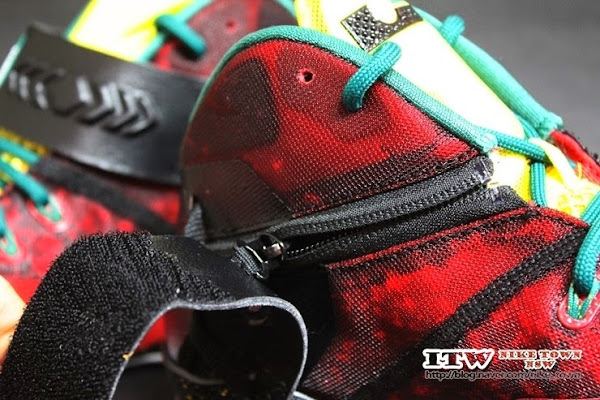 This is the premium version featuring a faded Black and Red upper with hits of Yellow and Green. 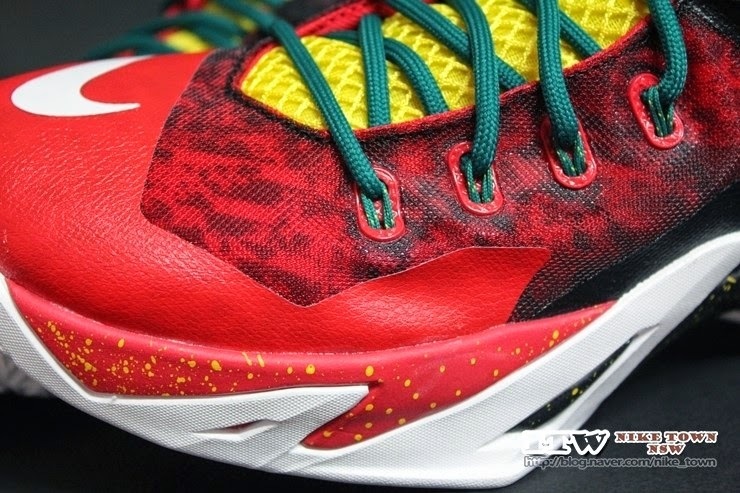 Definitely one of the most creative designs to date and I like how they’re not too bright if you know what I mean. 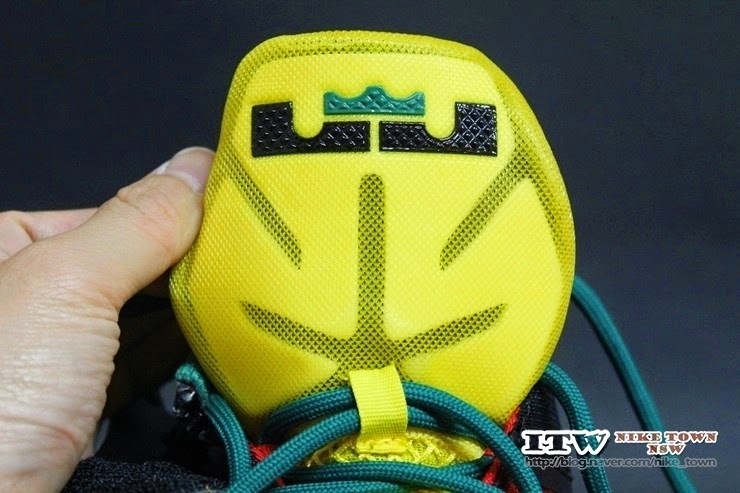 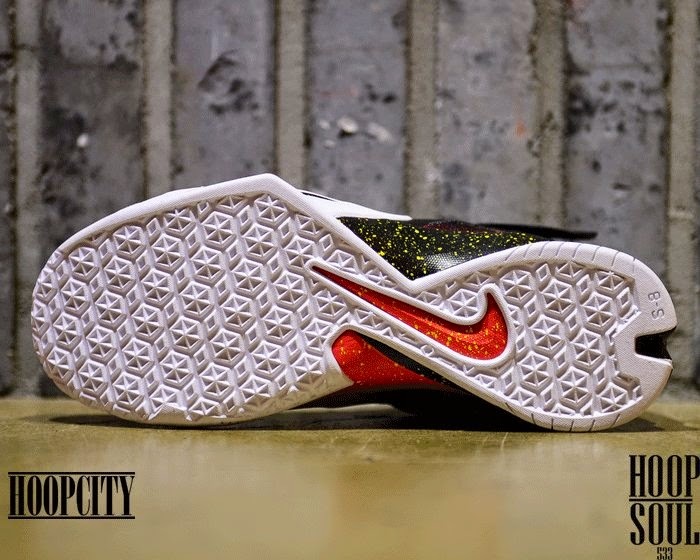 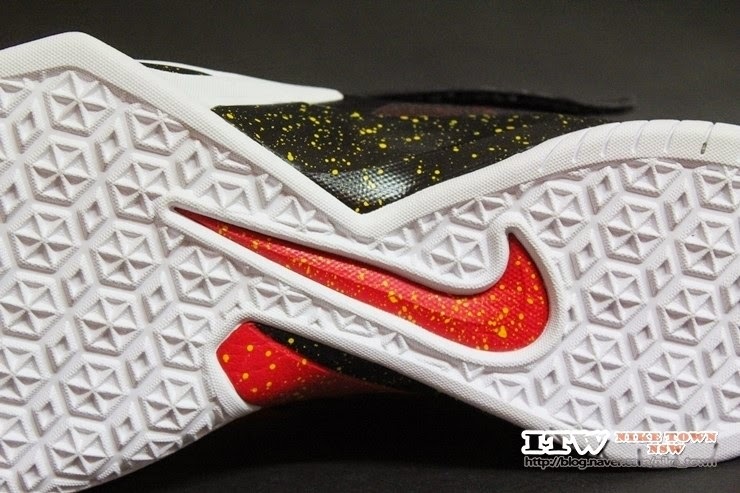 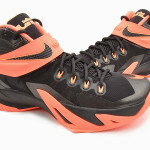 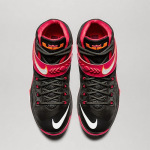 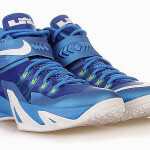 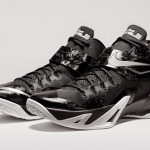 Check out the detailed pics below and let us know if this is your favorite version of the Zoom Soldier VIII thus far.